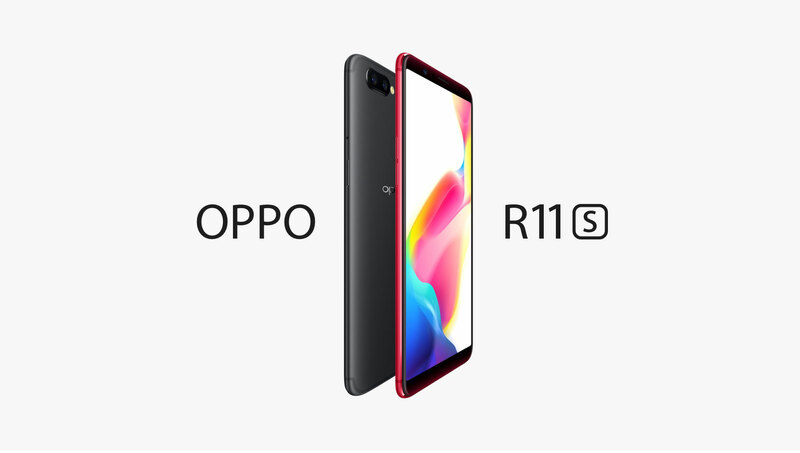 With the launch of its mainstream flagship OPPO F5 tonight, there’s another offering from OPPO – this time from their R-series, the OPPO R11s. And it’s almost revealed by its product page itself from OPPO’s Chinese website. On its product page, there’s options for Oppo R11s color variants in Champagne, Black, Red and a Star Screen red (pictured below), that continues into the front glass. While there’s no information about the complete specs, the Oppo R11s is rumored to use the same Snapdragon 660 SoC and 4GB of RAM configuration of its predecessor R11, but with upgraded dual cameras on the back (as seen on the picture). The front of the R11s is a 6.0-inch 1080 x 2160px AMOLED (yay!) with the 2017-ish 18:9 aspect ratio and it’s saying goodbye to physical buttons, just like the upcoming OPPO F5. It’s packed with a 3200 mAh battery capacity, as well as dual 20 and 16MP cameras on the back, and an AI-enhanced 20MP shooter on the front. There’s no information on the page about the pricing yet. But judging from its predecessor’s price (Oppo R11) which is around CNY 3,000 for the 64GB model – expect something similar for the Oppo R11s, considering its a higher-tier than OPPO’s mainstream F-series smartphones.